HOUSTON — Harris County Attorney Mike Stafford, a native of Crosby, has been at the forefront of a suit to defend the County Commissioners in a lawsuit brought by a Houston real estate person who wants a monument in front of the Civil Courts building removed, because it contains a copy of the Christian Bible. 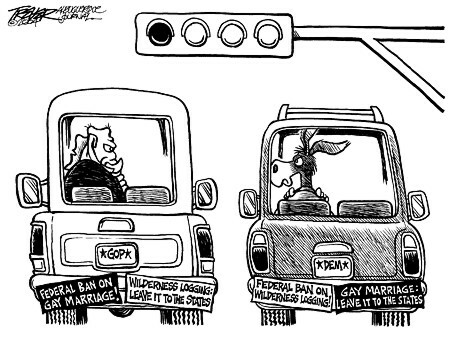 Realtor Kay Staley contends that this violates the Constitutional tenet of separation of religion and government. Staley won a judgement in Houston to have the Bible removed, but Stafford filed a suit and received a “stay,” until the details of the judgment could be reviewed by an appeals court. The monument was originally installed as a memorial to a donor to the Star of Hope Mission, and attorneys for that organization have argued that it therefore is more secular, not religious in nature. 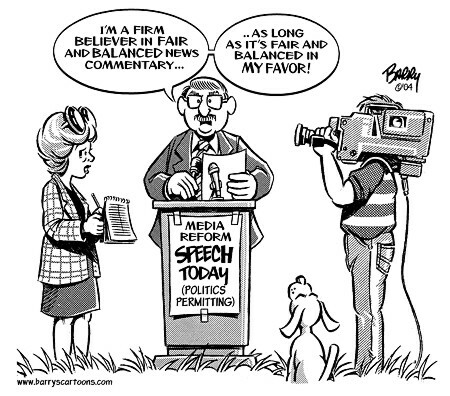 However, Judge Sim Lake has stated that “neutrality means that Harris County should not be seen as endorsing Christianity.” Both sides continued their efforts as of the press deadline on this matter. Goose Creek: Committee recommends improvements at Highlands Jr.
HIGHLANDS — Highlands Junior School could see some facilities improvements in the future, if a committee appointed by the school district gets its way. Last week, a facilities planning subcommittee focusing on the needs of junior high campuses throughout the district named Highlands Junior as one of the sites needing immediate attention. Donald Dunn, who previously served on the committee which redrew junior high boundary lines, said that a study done of the school by an outside consulting firm found that almost $5 million would be needed to build a new Highlands Junior High. Dunn is the facilitator of the junior high subcommittee. Approximately 60 community members and district employees make up the committee that are looking at facilities districtwide. For the past few years, the district has had committees looking into ways to address a growing student population. The current committee was reformed after a previous committee recommended consolidating Lee and Sterling High Schools into one school housed at two campuses. This plan met an almost immediate negative reaction from not only the board of trustees but the community as well. During the meeting, the committee also discussed requested improvements at Baytown, Gentry, Horace Mann and Cedar Bayou Junior High Schools as well as the Stallworth Stadium. The committee is expected to meet through November, then make recommendations for a future bond referendum which could come as early as February. Had an interesting conversation with the editor this past week about the Two Cents Worth articles. Complaints have been received about too much food or cooking in the articles. Another was my vocabulary. He gets the complaints and Im on the receiving end of compliments. As far as vocabulary and my southern slant on verbs and such, there will be a change. See if you can find it. It is difficult to please everybody and I place myself as one of those. If you dont believe it, ask the Mrs.
At least the editor prints the articles as submitted. He too has problems with my vocabulary as does spell check. However, having been told by others, the articles push the limit on occasion. Aint no different than this mornings burnt bacon. I simply fried up some more and Four Dog didnt whine a bit. Watched the DVD JACKASS last night. My goodness that was nasty the things those guys did. Makes one want to call RALPH if you savvy. I got up a couple of times and nearly fell out of the chair laughing at other times. Moving on. Went to the tooth doctor last week. For a while in my life he had his hand in my mouth as much as he had his hand on my wallet. I place a Dentist on the same level as a Cardiologist as being life savers. You ever had a tooth that was killing you? Been a user of a WaterPic now for 15 years or longer and on my second one. A WaterPic is nothing more than a high powered water gun, and it works well in jetting out stuff between my teeth. Four Dog will stand by the chest of drawers and watch me use the WaterPic. I can see him in the mirror watching and Ill point the stream towards him. He has gotten to where he can back faster than any dog in the county. Of course, using the WaterPic does not always eliminate the hint of bad breath. Went to the eye doctor last two times and each time he has had stinky breath. I swore I was going to send him some gum, but never did. I told the Mrs. of it and after she got back from her visit, she too said she noticed the odor. Mine was probably ripe last week as one days lunch at THIS IS IT, I had four long green onions with my ox tails. Had a coworker one time who having smoked and drank coffee; here they come looking over my shoulder at my PC. I got a whiff and dang near past out and fell out of my chair before they backed up and away some. Desserts? How about a Louisiana Swamp? Desserts — Those of you who know me are probably thinking I am the last person who should be talking about excellent desserts. The truth is I usually don’t eat a dessert when we eat out but on occasion I weaken. I have come up with some excellent desserts in our local restaurants recently. Owner of the Teay’s House (about a mile off I-64 at the Winfield exit), Karen Diehl, makes one great chocolate cake. The portion is large enough that two forks are in order. If you are ever passing through on I-64 you might want to try a slice. Soho’s, a local restaurant at the Farmer’s Market, located under I-64 and I-77 in downtown Charleston has one fine peach short cake. Made with a fine traditional short cake, peach ice cream, fresh peaches and whipped cream, it really gives the taste buds a treat. Here again the portions are large and two forks are frequently part of the order. When I married Linda, I not only married a fine lady but one great cook. She recently bought this book. Why, I do not know as we have one bookcase overflowing with cookbooks now. But, what is one more! I do believe if Noah served it on the Ark, Linda has the recipe. In their book, Gwen McKee and Barbara Moseley include the words “enter at your own risk,” when talking about this recipe. Copyright laws forbid me to give you the recipe here I do believe. However, I can tell you it starts with German chocolate cake mix and includes such things as marshmallow crème, pecans, chocolate chips, milk chocolate frosting, almond extract and a few other things. Linda made this in one large pan and we shared it with other family members. It was one fine bit of eating. She cut the pieces rather small so, contrary to those discussed above, one fork is all you need to do the necessary damage. If you think you are interested and can’t find the book or the recipe be sure to ask Linda to share her good fortune the next time we are in Crosby. Steer in another direction if you don’t like chocolate. You can tell from what I said above it is chocolate, chocolate and more chocolate! By the way the book is a Quail Ridge Press publication. CROSBY  How would a man begin to convince anyone to help him steal a heavy truck, steal construction equipment and bring both to bear on a technically secure, almost two ton automatic teller machine embedded in concrete and steel at a bank on Main Street? Well, perhaps some sales points to convince someone to come along might be: (a.) starting in the wee hours of the morning no one will be awake (b.) going many miles from base is easier (c.) at over 10 miles distance between the first and final theft no one will suspect what we are going (d.) follow an experience leader, (e.) use the back roads in which to hide, (f.) use your cell phones to call women friends if it gets hot and (g.) ATM’s are easy to open. Apparently, none of those sales points are as valid as convincing. Precinct 3 Constable Ken Jones indicates some deputies under his command (with the backup from the spectrum of law enforcement) managed to turn all of those would be sales points against three individuals here on August 5 to make arrests in just such a case. “The big reason for the quick apprehension was the response time. The first response was just under five minutes of being advised of the alarm. Then the quick action by the supervisor to determine the direction of flight and the men coming out in force and searching the highways and back roads. I am very proud of my people all coming together and putting in the extra effort for teamwork,” said Ken Jones speaking at the 14000 block of FM 2100 Crosby State Bank location. Deputies make charges that Donald Gene Pifer, 55, his son, Donald Gene Pifer, Jr., 30, and Charles Scoot Cody, 31, allegedly loaded the ATM onto a truck stolen out of Mont Belvieu using a tractor loader stolen from the construction site where a proposed new drug store is to be and fled the bank. According to bank personnel, the original sensory notice went off at about 2:48 a.m. Precinct 3 Constables say they took the full alarm call from the alarm company at about 3:55 a.m. and at 4:00 the first deputy arrived on the scene. Lieutenant Terry Ganey, the evening and night patrol supervisor, arrived on the call at Crosby State Bank’s newest Crosby office at about 4:12 a.m. According to Ganey, Deputy Rob Francis made the next break in the case by finding a truck stolen from Mont Belvieu on a cut off from Lord Rd. “Once Deputy Francis went down to check on the truck he had spotted he drove up on them. Then of course they scattered like quail. 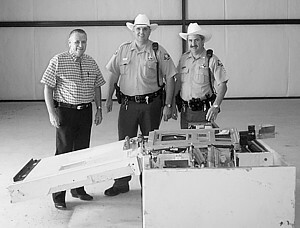 They were trying to cut it open but left it to Deputy Francis running on foot through the woods,” said Constable Jones. The deputy had apparently found someone had been trying to open the first of several security structures with a blow torch, unsuccessfully and so cooled down the metal. Now he was in possession of the truck, the ATM and the general location of three suspects. The deputies, about 18 in number established a general area of search. By now the Houston Police Helicopter, State Troopers, Mounted Patrols, dogs from state prisons and Harris County Sheriff’s K-9 Corps were joined by agents of the F.B.I. According to an FBI spokesman, indictments had already been issued for the men. They were suspected of involvement in several other ATM theft’s in Beaumont, Port Arthur, Orange County, and Lake Charles, LA. According to Captain Hagee this group appears to specialize in such thefts and includes a father and son team along with another man. FBI Special Agent Robert King from Beaumont arrived on the scene early this morning and talked to one of the suspects on a cell phone and convinced the man to come out and give himself up. Captain Jones indicates that each of the three men had a cell phone and each was trying to call wives or girlfriends for a ride away from trouble. Later that morning some women came nearby and were detained by deputies, each claiming to know nothing about a theft of an ATM. The last suspect was still running at around 9:30 a.m. this morning when a citizen notified authorities of a white male, with no shirt, who was trying to cross US 90 on foot which led officers to his location where he was arrested. Officers from just about every law enforcement agency in eastern Harris County and Liberty County participated in the manhunt for the trio until about 9:45 AM Thursday morning when the last of the three was apprehended. The three were transported to Justice of the Peace Glenn Pruitt’s office in Dayton where they were magistrated and sent on the return trip back to Harris County where they were turned over to Harris County Sheriff’s Department Robbery and Theft Division Detectives. Harris County Attorney Mike Stafford obtained an injunction against Ricky Gandy and Halco Waste Container, Inc. ordering them to clean-up two illegal waste disposal sites in East Harris County. Gandy, acting through his companies Halco Waste Container, Inc. and Old Orchard. Trucking and Waste, has been illegally disposing of waste (including demolition debris, household garbage, cardboard, plastic, tires, and wood) at 16120 Market Street and 14807 Garrett Road. 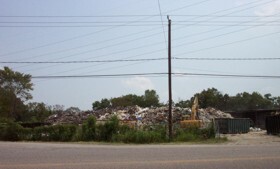 The property at 16120 Market Street, dubbed “Mount Trashmore” by neighborhood residents, is in Channelview. The property at 14807 Garrett Road is in the Sheldon area. Earlier this year, citizens began calling Harris County to complain about odors and rats coming from the Market Street property. Harris County Pollution Control repeatedly cited Mr. Gandy for public endangerment and failure to comply with various environmental laws. The Harris County Fire Marshal issued a Fire Marshal Order against Gandy for numerous fire hazards. In May 2004, Stafford filed suit against Gandy and Halco. During a two day court hearing, various government investigators testified that both Mr. Gandy’s sites were being operated in violation of Texas law. Phil Rogers, an investigator with the Harris County Fire Marshal’s Office, testified that he had personally inspected both sites and had discovered numerous fire hazards. Andy Vance, an investigator with the Texas Commission on Environmental Quality, testified that both sites were in violation of state environmental law. On August 4, 2004, Judge Randy Wilson issued a temporary injunction against defendants Gandy and Halco. Judge Wilson found that both 16120 Market Street and 14807 Garrett Road were in violation of state law and that the large quantities of combustible material stored at these sites endangered human health and welfare. The injunction orders the defendants to stop disposing of solid waste at these sites (unless the defendants obtained a permit or registration from the Texas Commission on Environmental Quality) and to remove all existing waste from the sites. CROSBY  A man that established himself as a local student leader here is continuing to establish his leadership internationally in a very straining sport. David Hammers only weighs about 142.5 lbs. but in a recent Nebraska Competition representing the University of Texas bench pressed 402 lbs. He is now bound for international competition in South Africa. This year, Hammers qualified for the US Nationals team by winning the 165 lb. class of the the USAPL Junior National Championships. 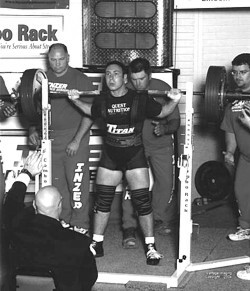 He has lifted 568 lbs., in squat, 557 lbs. in deadlift. Hammers mother works for Crosby ISD and his brothers Darren, 16, and Dylan, 12 attend school in Crosby.